Friday is HERE! One day closer to my big 39 and gulp, my last year in this age group. I better make the best of it! This week has flown right by. Just like that. I'm okay with that. That means getting closer to spring faster...and then summer. Of course this week we only had school 4 days. Monday and Tuesday --- snowday Wednesday, then Thursday and Friday. A week broken up like that is absolutely perfect. What do I have to HIGH FIVE for today? I'm focused and more determined than ever to build my strength. Nightly strength sessions are paying off and I'm feeling stronger and happier. Tucker has been healing SO well. He's starting to rebuild his cardio fitness. It's taking time, but he's been amazing. I'm so proud of him! 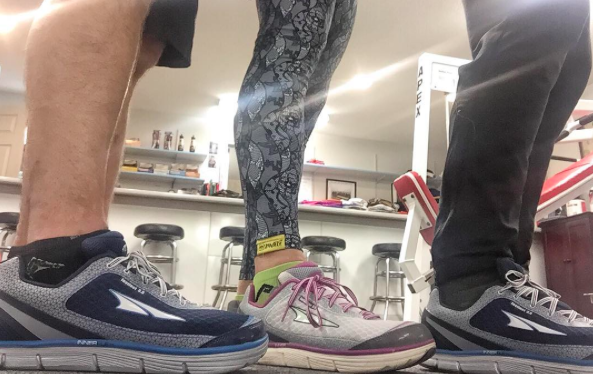 I'm definitely getting my family to LOVE Altra's just as much as I do. My brother-in-law was already a fan. Now my husband is falling in love too. Love is an amazing thing. My speed workouts are coming along quite nicely. 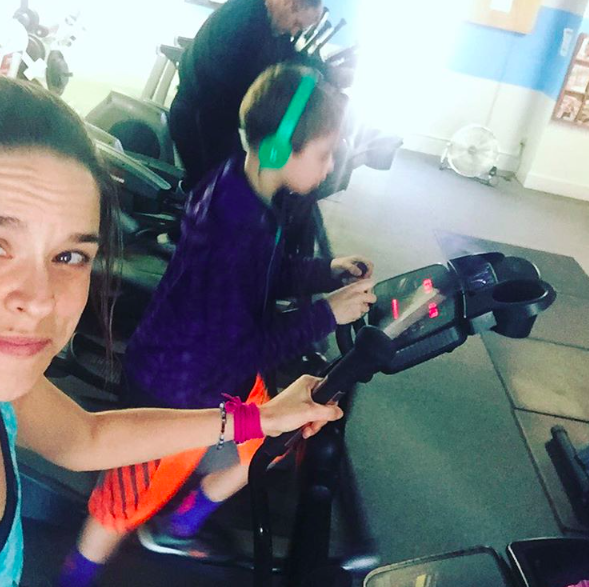 I'm using my speed workouts from Running Mom's and they are amazing! I took advantage of the snowday and got in an 8 mile interval session. 1 mile warm up, then 5 min hard, 1 min recovery and repeat until cooldown. I aimed at my "hard" being a 7:30 pace. 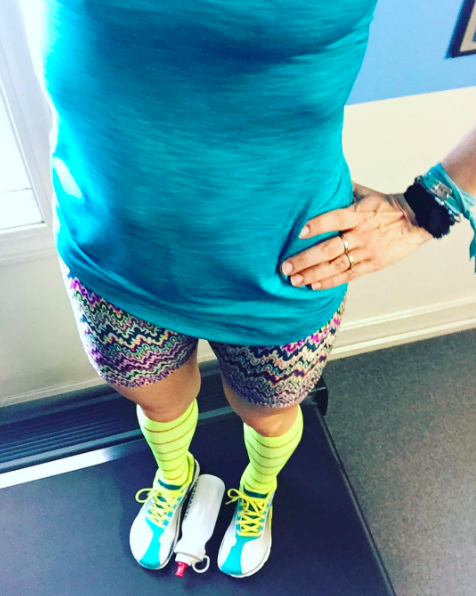 My ProCompression socks, Altra One2.5s, SOS Rehydrate, Momentum Jewelry and Spandits definitely pulled me through this run! And the help of a great treadmill at the best gym in town. Of course. I'm a super happy mamma right now. 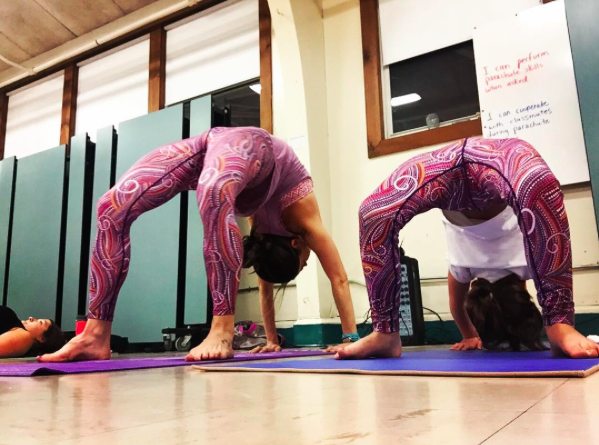 My mini-me and I went to yogalates last night as twinsies in our newest thermal Spandits. She was an absolute natural and I loved having her at class! 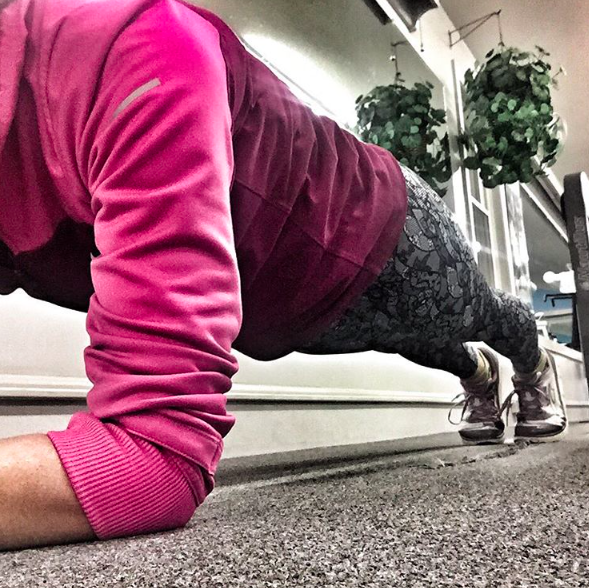 Link up with Happy Fit Mama's High 5 today!